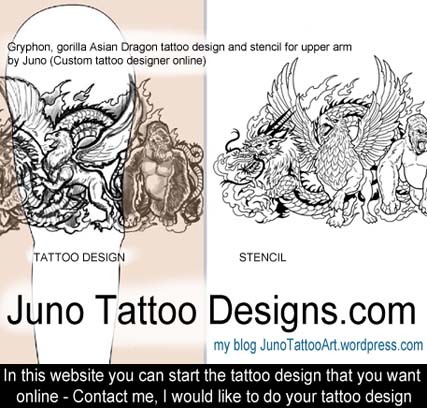 These are some of my designs for tattoos of warriors, castles,dragons,wizards and mythological creatures. I love to draw tattoos like these. Feel free to contact me if you want a custom fantasy design for your next tattoo, I would like to do it for you! 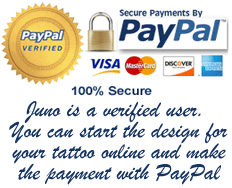 Fairy tattoo design by Juno – free tattoo stencil ready to download and print.